In the 15th century, Hoi An became a lucrative stop for merchants, turning it into one of the busiest trading ports in Southeast Asia. This dominance was halted in the 18th century by a combination of rebelling dynasties and a silting river mouth. While terrible for business, these events protected the town from further development and it’s now a well-preserved patch of Vietnam’s history — albeit selling goods to visitors rather than merchants. Hoi An’s architecture gives an insight into the town’s mixed heritage, with Dutch and French colonial houses squeezed between Chinese tea warehouses and Japanese temples. Local cafes, museums and open-fronted shops run alongside old canals. 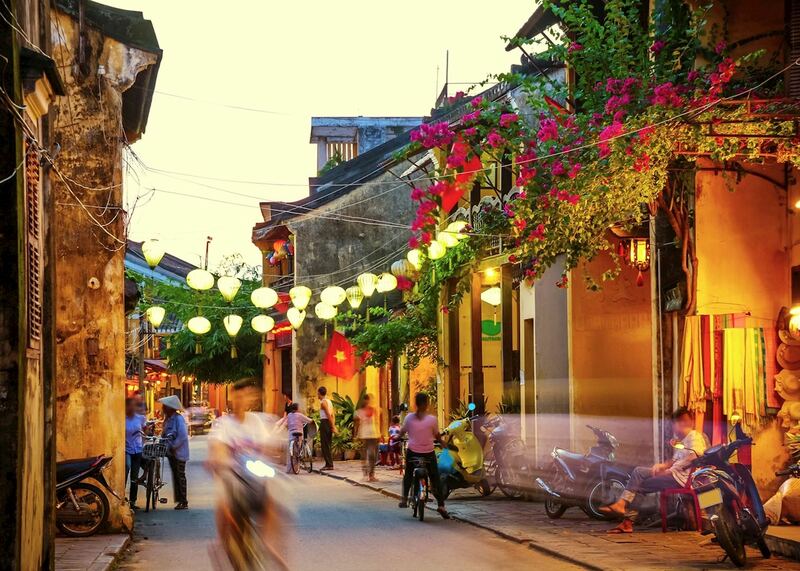 There’s so much to do in Hoi An: wander through the Old Quarter, see the Merchant's Houses, enjoy the local market and it's street food (try Lao Cau and White Rose Dumpling), get some tailoring done, visit the art quarter, visit the My Son ruins out of town - the list is endless. Hoi An was once a major port on the Silk Route, high-quality fabric was easily available to the tailors of Hoi An, and at very low cost. The town has become well-known for its quality tailors, many of whom have been trading for generations. More than 400 shops custom-make dresses, suits, shirts and leather shoes. You’ll even find on sale fancy dress outfits from the latest films. It’s best to allow a few days for your item to be made as your tailor will expect to carry out multiple fittings to get the garment size just right. Many streets in Hoi An’s old town are car-free zones, making them ideal to explore on foot. Over 1,000 timber-frame buildings are still standing, topped with hand-carved tiles. The Chinese quarters are easy to spot for their wooden signboards gilded with Chinese characters — usually the name of the trading company. It’s possible to enter some of the meeting halls: there’s one for each Chinese province. You enter the Japanese sector across a covered bridge: one of the few built outside Japan. Inside is a small temple to the Taoist god of weather, Tran Vo Bac De, an important figure to visiting sailors and merchants. There are a number of museums and homes open to visit, or you can simply enjoy ‘white roses’ (prawn dumplings) in one of the local cafes. The communities surrounding Hoi An profited from its importance as a trading town, selling a variety of local crafts to visiting merchants. These enterprises have bloomed into busy cottage industries, keeping Vietnamese handicraft skills alive. Cycling through the villages with an experienced guide, you can stop to visit the artisans along the way. Along a leisurely 8 km (5 mile) route, you’ll ride past vivid green paddy fields and patches of farmland — usually tended by workers. Slow-flowing rivers weave across the landscape, often carrying small coracle boats — one of the most popular products made by hand here. Stopping to see traditional skills, such as wood carving and mat weaving, you’ll often be welcomed in by residents for a drink. The site of My Son lies in a geological basin surrounded by a ring of mountains, about an hour inland from Hoi An. The indigenous Cham tribes chose this easily defendable location to build the capital of their empire, which grew steadily between the 4th and 13th centuries. Used as a military base by the Viet Cong during the Vietnam War, My Son was heavily bombed, but many ruins remain standing. When you arrive, it can take a moment to differentiate the temples’ towers from the surrounding rocks, which are all being gradually reclaimed by the jungle. Built from locally fired bricks, some temples have bent roofs, claimed by archaeologists to reflect the crooked peak of Cat’s Tooth Mountain in the distance. Walking around the site, it’s possible to spot some of the remaining sandstone bas-reliefs that would have once covered temples across the entire site. When driving around Hoi An, it’s worth taking a detour along the Hai Van Pass. Most traffic now bypasses the road through a 6.2 km (3.8 mile) tunnel, leaving the pass free for those who simply want to enjoy the views. The 19 km (12 mile) stretch of road climbs 3,000 ft (914 m) along the Annamite Range, which separates north and central Vietnam. The road follows the Vietnamese coastline, with the South China Sea to the east and only jungle to the west. As you descend, the Lang Co Peninsula stretches right across the skyline. This beach-fringed headland is an ideal pit-stop, where you take a break at one of the few local bars selling juice and fruit. February to May is usually a comfortable time to travel to Hoi An, when there’s plenty of sunshine, clear skies and warm temperatures. From June to August, skies remain clear but it can be quite hot with temperatures reaching 30°C (86°F). The rainy season runs from September through to January and floods can affect travel plans during this time. 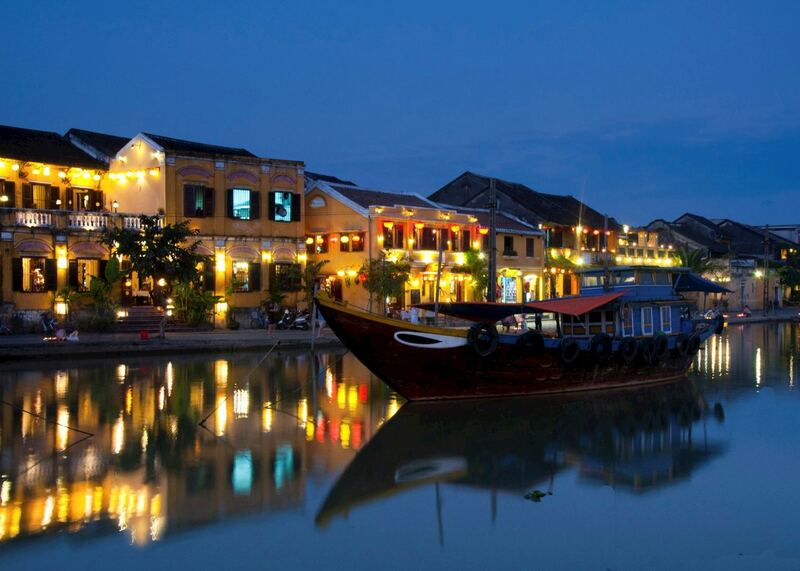 Hoi An celebrates the rise of the full moon each month. The city lights are turned off and streets are illuminated with rows of bright paper lanterns. Vehicles are banned and local people spend the evening watching cultural performances and attending candle-lit temple ceremonies. Vietnamese New Year, known as Tet, usually falls in late January or early February. It’s celebrated across the country but festivities in Hoi An are particularly enthusiastic. 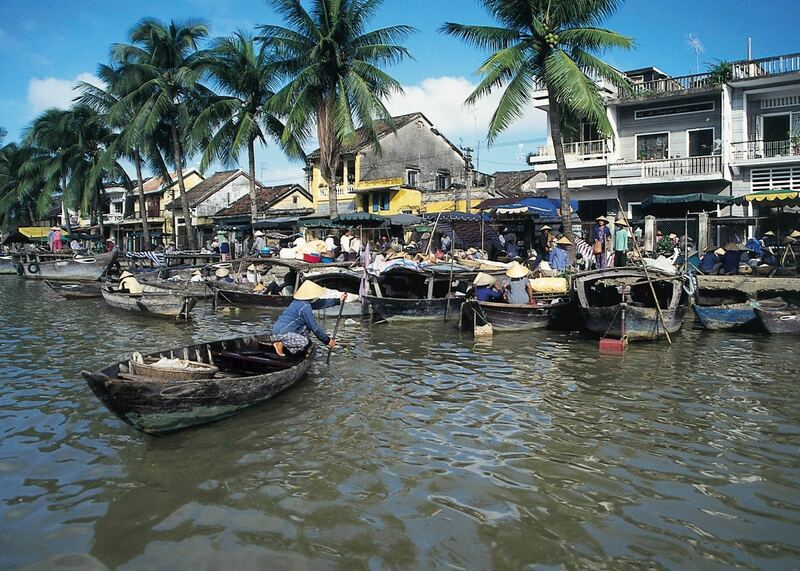 Many visitors and Vietnamese wander the old town, which is lit with lanterns and lights floating on the canals. Country-wide, shops and restaurants tend to close for Tet, but some remain open in Hoi An, making it an ideal place to experience the festival. 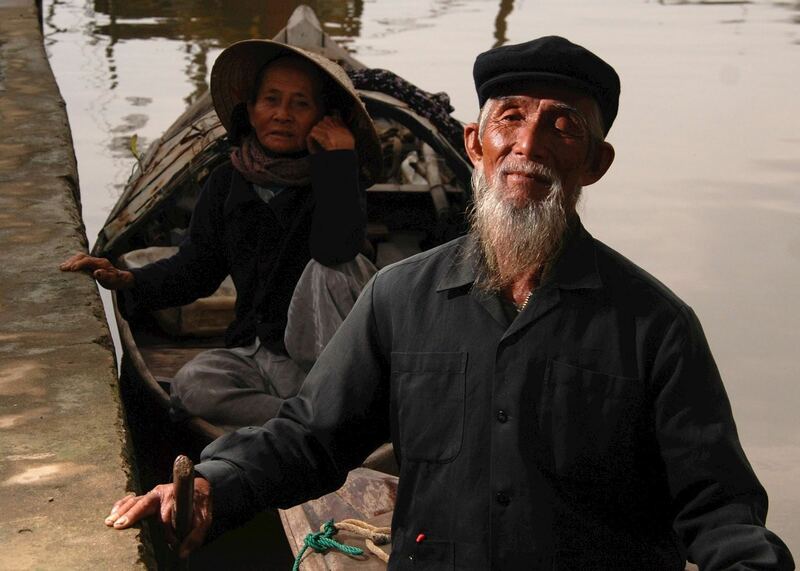 Our itineraries will give you suggestions for what is possible when you travel in Hoi An, and they showcase routes we know work particularly well. Treat them as inspiration, because your trip will be created uniquely by one of our specialists. We’ve selected a range of accommodation options for when you visit Hoi An. Our choices usually come recommended for their character, facilities and service or location. Our specialists always aim to suggest properties that match your preferences. Set overlooking nearby paddy fields, the La Siesta Resort & Spa is a home away from home, and its quiet location within easy reach of the old town make it a wonderful choice for those looking to explore. The Anantara Hoi An Resort (formerly the Life Heritage Resort) is a charming, peaceful French colonial style hotel overlooking the Thu Bon River. 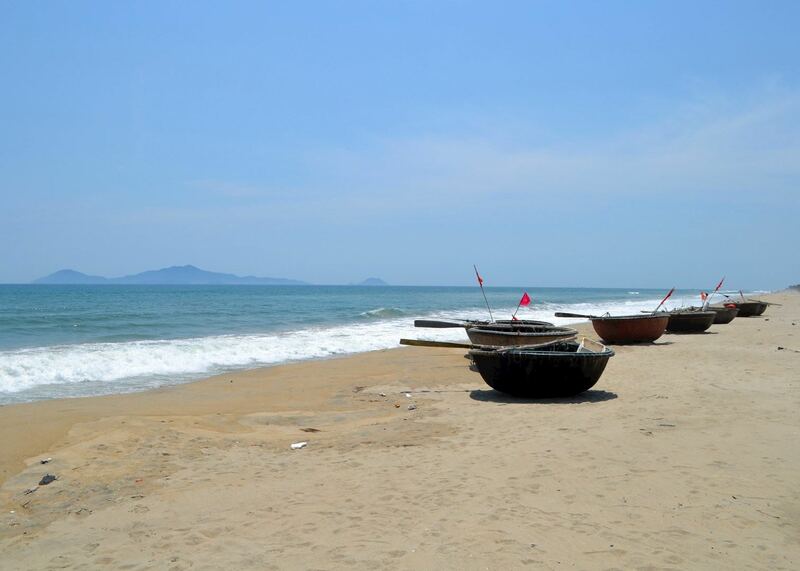 Located on the picturesque An Bang beach just 4km outside of the UNESCO World Heritage town of Hoi An, this well-equipped hotel has everything you need for the perfect combination of a cultural and beach stay. This hotel is the first of its kind in Vietnam - a sophisticated, minimalist resort with an understated contemporary style. This charming boutique property with only 17 rooms is located one and a half miles from the beach and two miles from Hoi An's old town. An interesting boutique style property that represents good value for money. The staff are friendly, the rooms are pleasant and the added bonus of a swimming pool helps to make an enjoyable stay. The hotel is small with few facilities, but this is part of its charm and something that attracts our clients back there year after year. 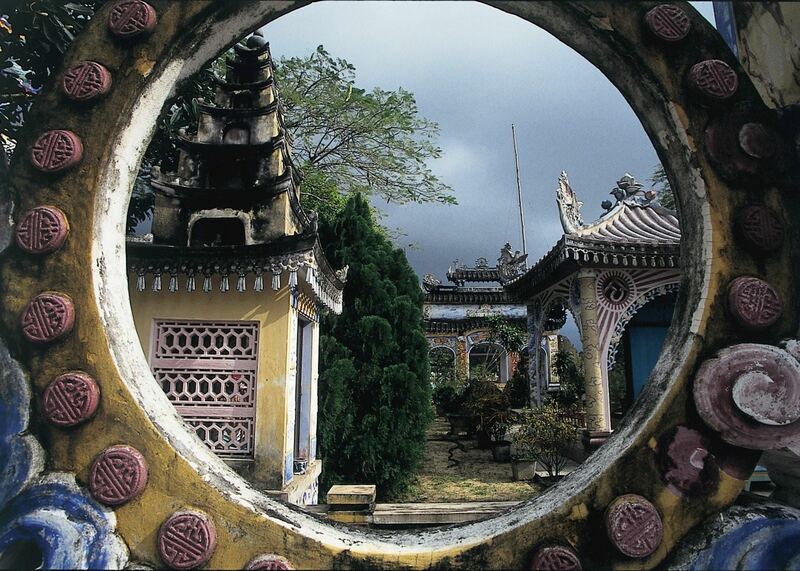 No other hotel in Vietnam has as much character and history. Fusion Maia is a luxurious hotel situated along the white sands of My Khe Beach, in Danang, not far from Hoi An. The resort incorporates spa treatments inclusive of your stay. Set on the banks of the Thu Bon River, just ten minutes walk from the town's historical area, The Hotel Royal Hoi An offers guests a perfect base from which to explore the UNESCO heritage town. This is an excellent choice for those wanting a beach retreat whilst still being able to explore the fascinating town of Hoi An and the surrounding area. Our specialists seek out authentic ways to get to know the places that could feature in your trip. These activities reflect some of the experiences they've most enjoyed while visiting Hoi An, and which use the best local guides.